In this webinar, Chilmark Analyst Matt Guldin presents key findings from our report, Bundled Payments: Current Strategies and Tools. Afterward, he and special guest Andrew Tessier (Business Development Director, Signature Medical Group) discuss the financial and strategic implications of bundled payments and the IT options for providers. Be sure to also check out our blog post on bundled payment basics and recent policy shifts. To access the slides, please enter your email address in the video form or at the bottom of the page. To learn more about the report or to purchase it, please click here. Last week, CMS released its proposed rule (beware – in good government fashion it’s a whooping 607 pages) for the Medicare Shared Savings Program (MSSP) Accountable Care Organization (ACO) program. CMS is taking a big leap forward with this rule on the path to value-based care. The big leap? Moving existing MSSP ACOs from all upside contracts (no risk), to taking on an ever-increasing portion of risk (downside, e.g. reimburse CMS if targets not met). This is a real wake-up call for providers, especially hospital-led ACOs, who have by and large failed to meet targets in current MSSP ACO contracts. The advent of ACOs is a byproduct of the Affordable Care Act (ACA), wherein the Obama administration was seeking new payment models to shift Medicare spending from fee-for-service to value-based care (VBC). To get providers comfortable with the concept, various ACO models were deployed with MSSP the most popular – currently 86% of all Medicare ACOs. Within the MSSP ACO a provider organization could choose one of three tracks, but only Track 1 carried no downside risk. Logically, nearly all providers chose Track 1 initially and today 82% of MSSP ACOs are still in this track. Unfortunately, in 2016 this track was a money-losing proposition for CMS, as hospital-led MSSP ACOs racked up losses for CMS that were higher than the savings from physician-led ACOs. Provider readiness to take on true risk has always been the rub…With these proposed rules, CMS is going beyond meeting providerswhere they are but pushing them forward on the path to value. Fee for service (FFS) is the problem. Integrated care is better than disparate care. There is a strong need for valid measures to score value. CMS is the largest payer in the country, representing over half of all healthcare spending. Money talks. Unlike employers, CMS has beneficiaries in every region of the country, encouraging and enforcing nationwide measures of value. The MSSP ACO proposed rules are just another step, of what will likely be many, which CMS will have to take in its attempt to bend the cost curve. Rather than wait for providers to voluntarily accept and migrate to true risk – something we saw little of in the former MSSP ACO rules – the proposed rules foist that risk upon providers. Granted, providers are given one to two years in a “glide path to risk” in the new rules, but risk is definitely in their future; by contract year five, an MSSP ACO will take on enough downside risk to qualify as an Advanced Alternative Payment Model (APM) under MACRA. In summary, CMS proposes ending the current Tracks 1 and 2 replacing them with a new 5-level BASIC track. The first two levels of the BASIC track begin with no risk to providers but annual auto-advancement to higher risk-reward layers will advance providers into risk sharing. Former Track 3 will become the ENHANCED track. The current 3-year agreement period changes to 5-years minimum and national inflation metrics will be replaced with regional metrics. Somewhat depressingly, the total calculated projected 10-year savings for the new MSSP rules is a paltry $2.2B. The proposed rules are likely causing a lot of angst in the executive offices of many a hospital, but these rules will have winners as well. From our vantage point, provider readiness to take on true risk has always been the rub. The recent NAACOS survey found that 71 percent of Track 1 MSSP ACOs scheduled for renewal this year were unlikely to do so if they had to assume risk. This is likely an inflated number – when push comes to shove, far more will renew – but this is a barometer of provider sentiment and overall readiness even among those with some experience with the program. Across the country, healthcare is anything but consistent. As Gary Loveman, former executive vice president of Aetna, pointed out at our Convergence conference last year, one has to meet providers where they are. With these proposed rules, CMS is going beyond meeting providers – but pushing them forward on the path to value. For most providers who take this path, it will be challenging, and trusted partners with previous experience in risk-bearing ACO enablement will be essential. Without a doubt, something has to be done to bend the cost curve – and, to its credit, CMS is taking action. However, will the action that CMS is taking here with the MSSP ACO program be enough to fend off its critics, especially if projected savings are so minuscule? We’re really unsure, but one thing we are certain of is that CMS is the only entity in this market that has the ability to do something on a nationwide scale. If not CMS, then who? Seeking to liberate the industry from its self-created morass of siloed data and duplicative quality reporting programs, the Department of Health and Human Services (HHS) issued 1,883 pages of proposed changes to Medicare and Medicaid. It renamed the Medicare and Medicaid Electronic Health Record (EHR) Incentive Programs (known by all as Meaningful Use) to Promoting Interoperability Programs (PI). As widely reported, it would eliminate some measures that acute care hospitals must report and remove redundant measures across the five hospital quality and value-based purchasing programs. It would also reduce the reporting period to 90 days. HHS will be taking comments until June 25, 2018. HHS believes that APIs will solve all of the problems that patients and healthcare stakeholders have with data access. HHS also seems prepared to declare that TEFCA compliance and 2015 Edition CEHRT guarantees that those APIs are in place. HHS believes that requiring hospitals to use 2015 Edition CEHRT in 2019 makes sense because such a large proportion of the hospitals are “ready to use” the 2015 Edition. Ready to use is not the same as using. 2015 Edition EHRs may not be as widely deployed as HHS indicates. The following 10 month old snapshot from ONC shows hospitals have not aggressively moved to adopt 2015 Edition CEHRT. Source: Office of the National Coordinator for Health Information Technology. 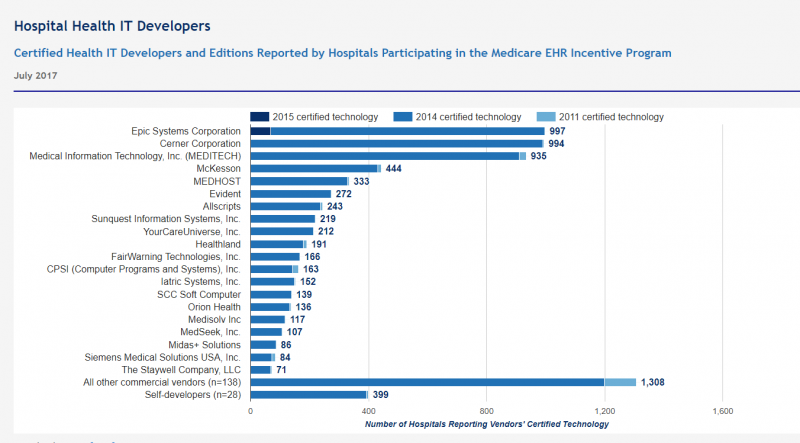 ‘Certified Health IT Developers and Editions Reported by Hospitals Participating in the Medicare EHR Incentive Program,’ Health IT Quick-Stat #29. Available at https://dashboard.healthit.gov/quickstats/pages/FIG-Vendors-of-EHRs-to-Participating-Hospitals.php. Current adoption levels by HCOs are undoubtedly better, and many vendors have 2015 Edition technology ready to go, but hospitals can only change so fast. The rush to get hospitals on the most current edition has to do with the most relevant difference between the 2014 and 2015 Editions – the API requirement. APIs will be the technical centerpiece of better, more modern interoperability but adoptions levels are still low. APIs, by themselves, offer the promise of better data liquidity. For this promise to become a reality, healthcare stakeholders need more than just a solid set of APIs. HHS is also proposing that hospitals post standard charges and to update that list annually. This is a nice thought, but it will take some heavy lifting to pull this off. For starters, HHS doesn’t even have a definition of “standard charge” and is seeking stakeholder input before the final rule is published. HHS also must determine how to display standard charges to patients, how much detail about out-of-pocket costs to include (for patients covered by public and private insurance), and what noncompliance penalties are appropriate. Above all, there’s the thorny issue of establishing what a standard charge is in the first place. Charges vary by payer. Can a hospital truly state, without a doubt, the cost of an MRI or a colonoscopy? Most cannot – and technology alone will hardly solve this problem. HHS says that third-party developed apps that use APIs will deliver “more flexibility and smoother workflow from various systems than what is often found in many current patient portals.” Whether such apps deliver “smoother workflow” is not a foregone conclusion. 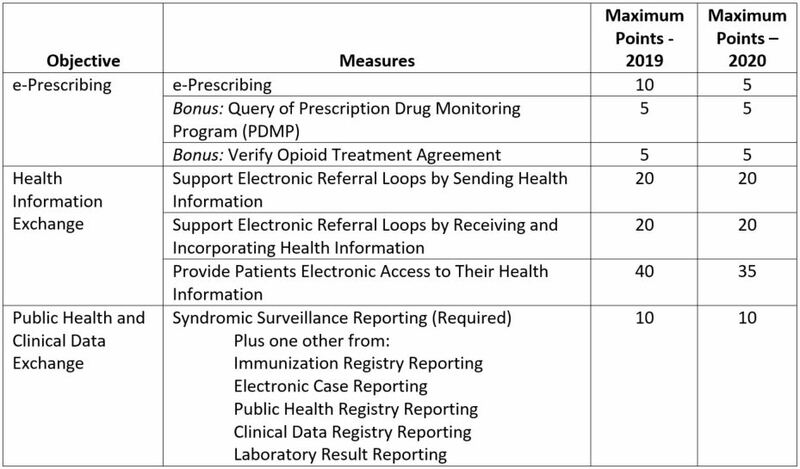 HHS proposes “a new scoring methodology that reduces burden and provides greater flexibility to hospitals while focusing on increased interoperability and patient access.” The proposed scoring methodology uses a 100-point system (explained over 24 pages) in which attaining a score of at least 50 means there will be no Medicare (or Medicaid) payment reduction. HHS is also mulling whether to abandon these measures altogether in favor of scores calculated at the objective level. The biggest regulatory effort in recent months related to interoperability, other than this proposal, has been ONC’s proposed Trusted Exchange Framework and Common Agreement (TEFCA), required under the 21st Century Cures Act. TEFCA, well along in the planning stages, is a new set regulations from ONC whose goal is to catalyze better data availability using APIs. HHS in this regulation wants public comment on whether participation in a TEFCA-compliant network should replace the process measures in Health Information Exchange objective. Stated another way: Should TEFCA compliance replace 80 percent of the score for PI (75 percent in 2020)? TEFCA is widely expected to provide a safe harbor from data blocking liability although ONC has been mum on this point. TEFCA then could do double duty: Eliminate the need to meet or report on health information exchange metrics and provide a shield from data blocking enforcement. How much will it cost providers to comply and can they make money for providing access to their data? Will TEFCA compliance, as a practical matter, accomplish anything? Will it make it easier for healthcare stakeholders to use each other’s data? HHS is also considering doing away with Public Health and Clinical Data Exchange objective. It floated the idea that a provider that supports FHIR APIs for population-level data would not need to report on any of the measures under this objective. This would replace 90 percent of the score for PI (85 percent in 2020) when combined with the TEFCA knockout. The specific API mentioned, called Flat FHIR and still in development, will probably contribute to part of the complex process of public health and registry reporting. This activity currently requires highly skilled data hunter-gatherers, usually with clinical credentials. In many organizations, these hunter-gatherers manually sift and collate multiple data sources to meet the varied requirements of the recipients of different registries. Flat FHIR, assuming it were production-ready, will certainly help, but it is unlikely that it could provide all, or even most, of the information needed for the range of public health reporting programs. HHS acknowledges that providers are less than thrilled with aspects of the Quality Payment Program (QPP). HHS wants to know how PI for hospitals can better “align” with the requirements for eligible clinicians under MIPS and Advanced APMs. In particular, it wants ideas about how to reduce the reporting burden for hospital-based MIPS-eligible clinicians. It is undoubtedly looking for market-acceptable ideas to reduce the reporting burden where it is arguably more deeply felt – among non-hospital-based MIPS-eligible clinicians. While reducing or eliminating the reporting burden would help such providers, the big unanswered question, as it is with hospitals, is the burden of getting to 2015 Edition CEHRT. HHS also asks the industry how it could use existing CMS health and safety regulations and standards to further advance electronic exchange of information. It is ready to change Conditions of Participation (CoPs), Conditions for Coverage (CfCs), and Requirements for Participation (RfPs) for Long Term Care Facilities regulations to this effect. It wants to know whether requiring electronic exchange of medically necessary information in these regulations would move the interoperability needle. HHS believes that APIs will solve all of the problems that patients and healthcare stakeholders have with data access. HHS also seems prepared to declare that TEFCA compliance and 2015 Edition CEHRT guarantees that those APIs are in place. It roundly ignores the mesh of incentives that make stakeholders unwilling to share data and patients unable to access data. The industry has cried out for less process reporting and better insight into outcomes for years. This will accomplish the former but set the industry back with respect to the latter if interoperability is declared solved based on technology alone. CMS decision removes important barrier for some Medicare cancer patients to access next generation sequencing and companion targeted therapies as well as potential clinical trials. For any new therapy, diagnostic or device brought forth by our healthcare innovation community, there are three high-level barriers generally encountered on the path to commercialization: Regulatory approval, payment confirmation (generally coverage by public and/or private healthcare payers) and adoption by healthcare providers. For new classes of therapy, such as genetically targeted therapies and their companion diagnostics, there is often a greater challenge to pass regulation, assure coverage and gain adoption since there is little precedent. As of mid-March, there is new precedent to leverage for gene-based diagnostics and all stakeholders in the development of genomics applications in medicine. Following the November 2017 approval by the FDA of Foundation Medicine‘s FoundationOne CDx, (F1CDxTM), the Centers for Medicare & Medicaid Services (CMS) proposed a National Coverage Determination (NCD) for diagnostic lab tests that include Next Generation Sequencing (NGS). These first steps were the culmination of a great deal of work by industry players, researchers and regulators. On March 16, 2018, CMS announced a finalized NCD for NGS for Medicare patients with advanced cancer (including Stage III, Stage IV, recurrent, relapsed, refractory or metastatic cancers). These are diagnostic tests that, as companions to other diagnostics, identify treatment options based on certain genetic mutations. As policymakers and payers take on the burden of cost coverage, the progression of the healthcare sub-industries focused on leveraging patient’s genetic and other “-omic data” will benefit from the step toward better coverage. 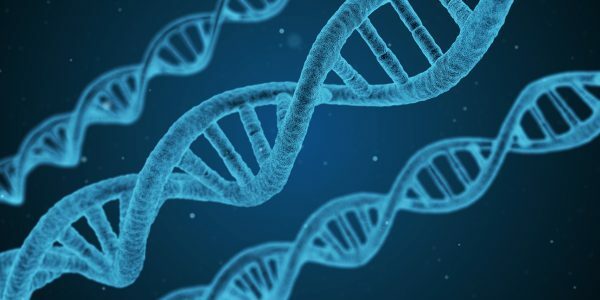 The burden of payment for genetic sequencing was a topic of discussion at HIMSS18 among players in the space of gene-based therapy (HIT, providers, etc.). 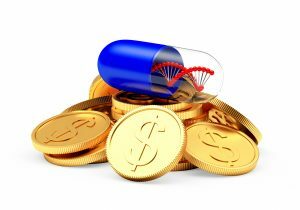 Prior to the CMS coverage decision, patients often had only the option to pay out of pocket for genetic sequencing. Based on this NCD, Medicare patients with advanced cancer have coverage. That coverage will be limited to FDA approved diagnostics, such as F1CDxTM, but the test results may be used both to match patients with FDA-approved gene based therapies and to identify patient candidacy for clinical trials of therapies not yet approved by the FDA. This potentially charts a clearer, more predictable path for additional NGS diagnostics in development, not only because of payment and regulatory precedent, but importantly because of the potential to speed up clinical trials for gene based therapies if candidates are identified more quickly. Patients diagnosed with cancer, or really any life-threatening condition, want and deserve access to the latest proven advancements in medicine. This NCD marks a big step in patient access and for development of targeted therapies and companion diagnostics. It also brings stakeholders attention to the looming challenge of payment at a systemic level. This remains a primary focus of the discussion among payers and policy makers. CMS Administrator Seema Verma and other high-ranking Government officials have discussed their intentions to curb costs for Medicare and Medicaid specifically related to novel genetically targeted therapies because they come at notably high cost. 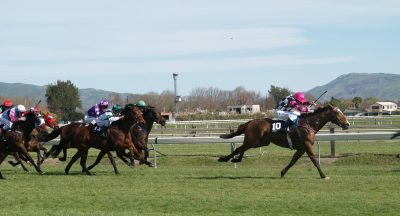 Therapies of this type can be priced between $300,000 and $500,000, with some reaching as high as $1 million. 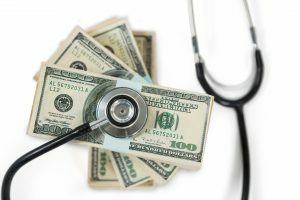 CMS does not negotiate prices, so its efforts to reduce the cost burden are focused on alterations to the format of payment for state agencies and managed care organizations who do. Some concepts floated by officials include paying less for a given drug based on the target indication used with a patient, or paying for high-cost drugs over a longer period of time. The CMS final NCD for genetic sequencing diagnostics only further brings this cost challenge to the forefront. As policymakers and payers take on the burden of cost coverage, the progression of the healthcare sub-industries focused on leveraging patient’s genetic and other “-omic data” will benefit from the step toward better coverage. However slow and bumpy the progress may seem, expect to see continued or accelerated investment in diagnostics and therapy by both public research sources as well as private equity. As these areas of investment continue, HIT vendors will have an opportunity to differentiate. Cancer in particular offers a slightly more carved out business channel for vendors to target with specialized solutions and a big market to warrant the investment. Cancer patients often have large care teams to manage, often have greater needs to make contact with the care team or show up for therapy and have a lot of test results to manage. EHR systems, telehealth companies, care management, risk based business models and other subsets of HIT all have an opportunity for differentiation within this specialized care community. Vendors such as Flatiron, recently acquired by Roche for $1.9 Billion, Syapse, 2bPrecise, Orion Health and others have taken early focused steps both with respect to “Precision Medicine” and to advancements in oncology care (as the CMS NCD specifically pertains to). Healthcare IT vendors, with this NCD, have yet another signal to consider the role of genomic and other comparable complex data types in their systems. EHR systems should have workflows to manage needs of patients who can benefit from existing gene-based therapies. This may or may not include more complete sources of “-omic data,” but the trend will be to gather more insights from these kinds of data even if not maintained directly within the EHR. HCOs with IT infrastructure and processes to help patients identify potential alignment with clinical trials should consider how they will add to their existing systems to include genomic sequencing and facilitate candidacy evaluation based on findings of such diagnostic information. HCOs should consider how they will properly educate and inform the patient and relevant members of the care team with respect to NGS. HCOs should consider how factors related to NGS will be communicated across the care team. As NGS data becomes more readily available and expected as a component of care, analysis and facilitating utility of these complex forms of data will be an opportunity for competitive advantage. 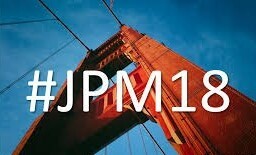 This past week I attended the annual J.P. Morgan Healthcare Conference, and the multitude of satellite events surrounding it, which attracts about 40,000 people from across the industry. It is where the business of health occurs, where money (Wall Street, PEs, VCs) looks to make a deal with just about any business in healthcare (life sciences, medtech, hospital systems, payers, start-ups, etc). Loud noises, but steady hand at the tiller. A lot of political “fire and fury” came out of Washington in 2017 regarding the Affordable Care Act, but despite several attempts ACA repeal did not occur. 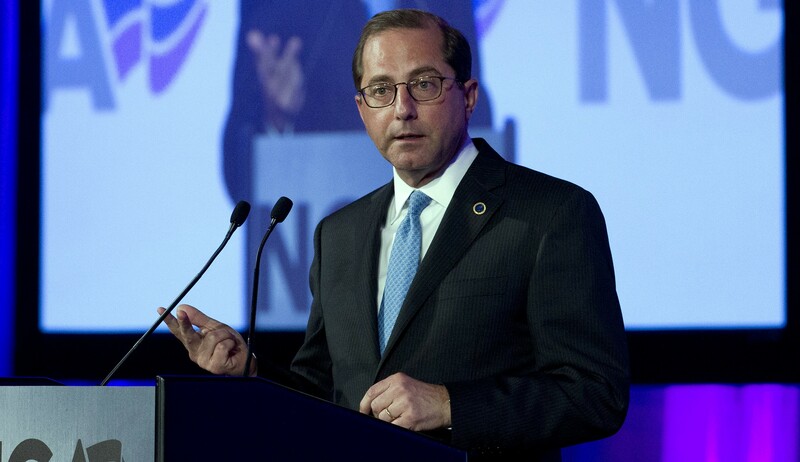 Political noise may continue to spout from Pennsylvania Avenue – but over at HHS, new leadership will quickly get down to business, proceeding with value-based care initiatives. The latest example: CMS’s reinstatement of rules for voluntary bundles as an APM under MACRA. Medicaid in stormy seas. While CMS stabilizes Medicare, state-run Medicaid programs will see turmoil. As of this writing, CHIP remains unfunded, and Medicaid funds distributed via state designated health programs under 1115 waivers will evaporate. This will impact many states significantly, as healthcare costs are already a leading line item in their budgets – nearly 40% in our home state of Massachusetts. How states address this federal shortfall bears close watching. Cost consciousness arises. The transition to value-based care (VBC), contractions in CMS spend and likely increase in uncompensated care will force healthcare organization (HCOs) to take a hard, deep look at costs. Administrative and supply chain costs will be primary targets. As a corollary, this cost consciousness extends to health IT. If your solution does not deliver a clear ROI in a year or less, you will get the brush-off. New breed of CIO. The majority of CIOs that oversaw go-lives of enterprise EHRs over the last decade are not likely to be the ones to drive their HCO’s digital health strategy going forward. A new breed of CIO is on the rise: One with a combination of clinical, business, informatics, and IT skills. They intuitively understand the operational and strategic value of IT in both a clinical and business context. Tax reform accelerates M&A. Recent passage of the tax reform bill brings fresh cash into the coffers of businesses. This cash influx will be leveraged to drive further consolidation rippling across all sectors of the healthcare market. The proliferation of start-up health IT companies with few exit options will lead to rapid consolidation as larger companies leverage cash for strategic fold-in acquisitions. There’s gold in removing administrative burden. From physician burnout to increasing expenses, administrative friction creates a huge burden across this sector. HCOs will increasingly look for solutions that minimize this burden. During a panel I moderated on Blockchain, the panel was unanimous: Blockchain, in conjunction with cloud computing and smart contracts, shows significant promise of removing administrative friction in provider-payer interactions. Blockchain is coming, and coming fast – but it will not be widely deployed until ~2022. More near-term is the use of AI/ML to optimize and automate administrative activities. I spoke with several companies, typically at Series A funding level, which have already gained significant wins in relatively short order. This is one area to watch closely in 2018; growth in demand for these solutions will ramp up significantly. 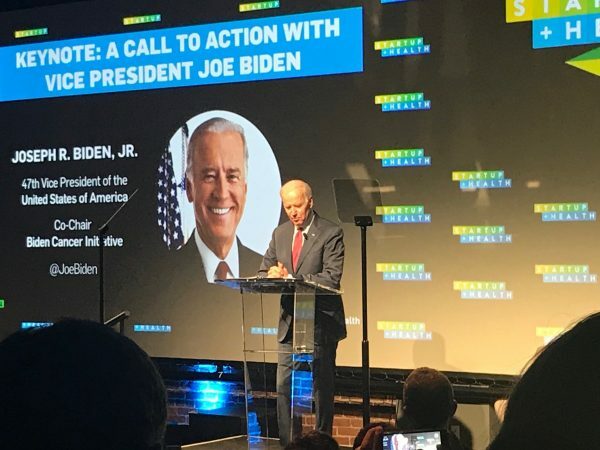 Vice President Joe Biden spoke at the Startup Festival, reflecting on his son Beau’s death due to cancer. Biden spoke passionately to the crowd about the Cancer Moonshot initiative and the dire need to change the current system of health in this country. He did not mince words. Biden implored the audience to dedicate themselves to improving healthcare delivery and persist until they get it done. But Biden also deplored the industry for failing to deliver, after $38B in federal investment, a digitized healthcare system with data liquidity at its core. Unlike most, who readily level this charge at vendors, Biden placed blame squarely on HCOs, which is not unfounded. Will FHIR come to the rescue in 2018? Unlikely in any significant degree, as we wrote in our 2018 Healthcare IT market predictions, outside of clearly defined clinically integrated networks. It is clear that the flurry of activity that concluded 2017 (Optum-DaVita, CVS-Aetna, Providence-Ascension, Dignity-CHI, Advocate-Aurora, Humana-Kindred) will not subside anytime soon. 2018 will be yet another year of significant consolidation as the entire industry grapples with tighter margins and the need to migrate from tertiary, system-centric care to preventive, consumer-driven care.